We were walking down the path in the botanical gardens in Sydney this morning and all of a sudden Jessica starts flipping out. "Dad, are those bats? ", she asked. 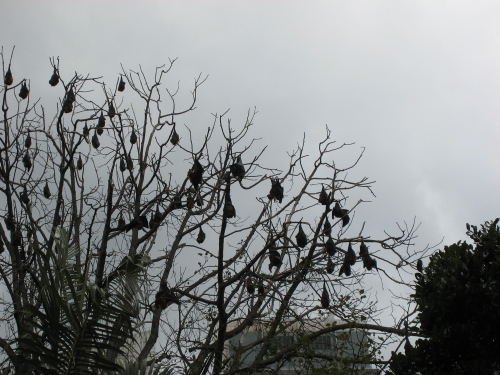 "Nope", Emily said, "they are flying foxes". Correct Emily. The flying foxes are pretty wild looking things for sure. They were all over the place in the botanical gardens. 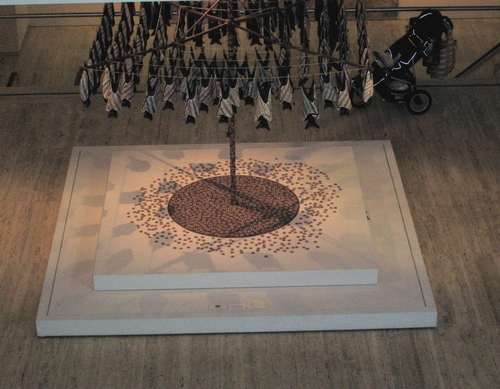 And then when we walked out of the garden and into the Art Gallery of New South Wales (a great museum), we saw this installation in the lobby. The Flying Foxes were all over the place this morning. Newer post Top 10 Records of 2007 – Number 8 Older post Is There An Increasing Marginal Utility Of Data?